Durable. Reliable. Efficient. 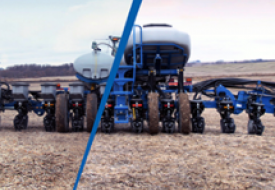 The proven row units of the Kinze 3000 series planters are designed for farmers who want highly customizable planter options combined with simple maintenance and low cost of ownership. 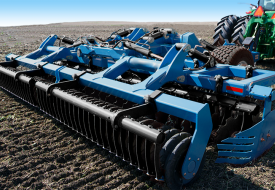 These proven row units are equipped with load-equalizing steel gauge wheels to provide strength, accurate seed placement, and consistent depth control – even in heavy residue or rugged planting conditions. 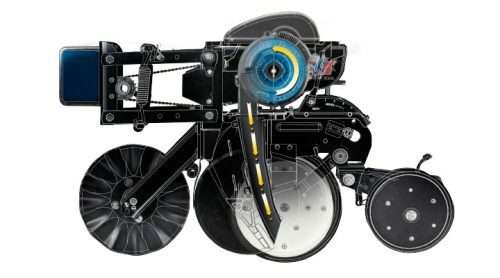 To accommodate variable soil types and preferred tillage practices, multiple residue wheels and closing wheels are available to match your operation. 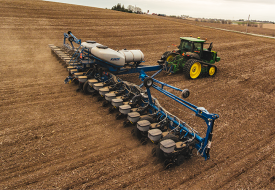 An optional pneumatic down pressure package enables operators to adjust settings on the go for consistent plant emergence to get the most yield possible from every acre. 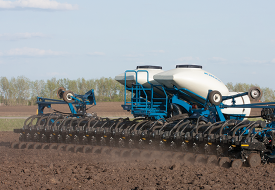 Farmers count on their equipment to stand up to the tough demands of planting season. 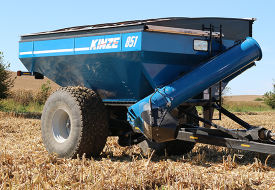 The 3000 series row unit scores high marks for durability with a hardened seed tube guard and scraper for opener blades, as well as molded wheel covers to minimize soil build up on wheels and reduce rock damage. In addition, the heavy-duty shank with triangular reinforcement provides maximum side-load strength, while the powder coat finish delivers added protection. The 3000 series row unit is available with a translucent granular chemical hopper with standard slope-compensating T-banding, straight drop in-furrow banding, or 14-inch rear banders.